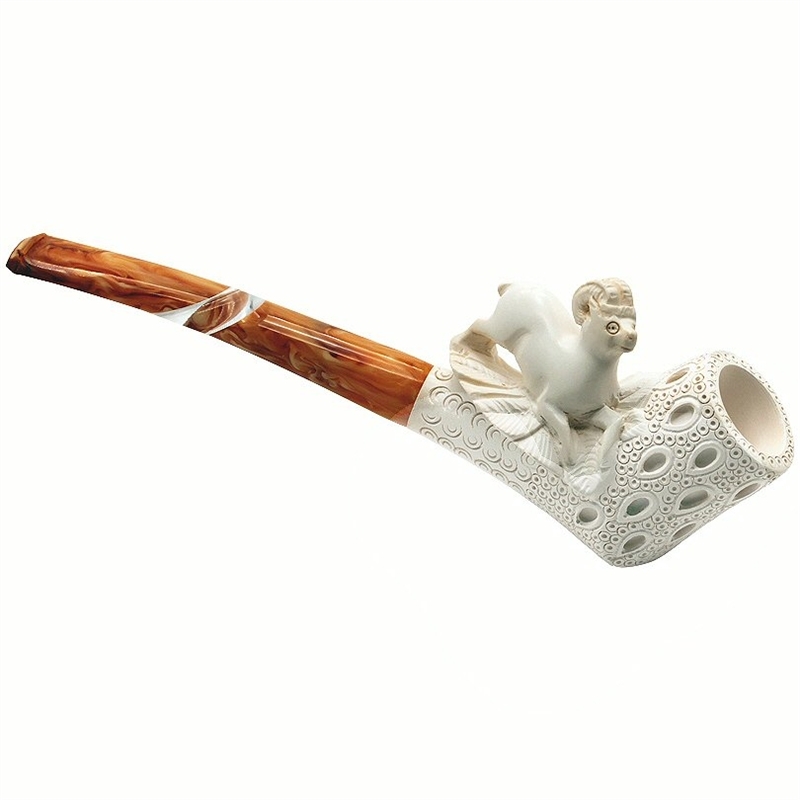 Hand Carved Ram on Lattice Bowl Meerschaum Pipe - Unusual pipe has a forward slanted teardrop lattice pipe bowl similar to the cutty design. A full body ram sits on a pad of leaves carved on top of a lattice shank. The marbled stem has the tiniest bend at the tip. This very unique pipe is exceptionally long and it will sit straight so no tobacco will spill out.